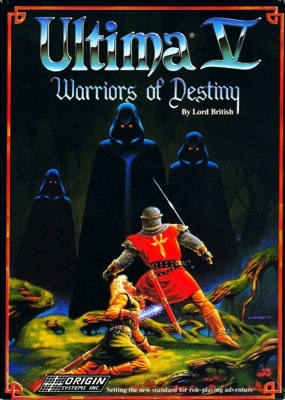 Warriors of Destiny featured much more polished writing (earlier games were riddled with some orthographical errors and uneven vocabulary) and considerably greater detail than previous games. 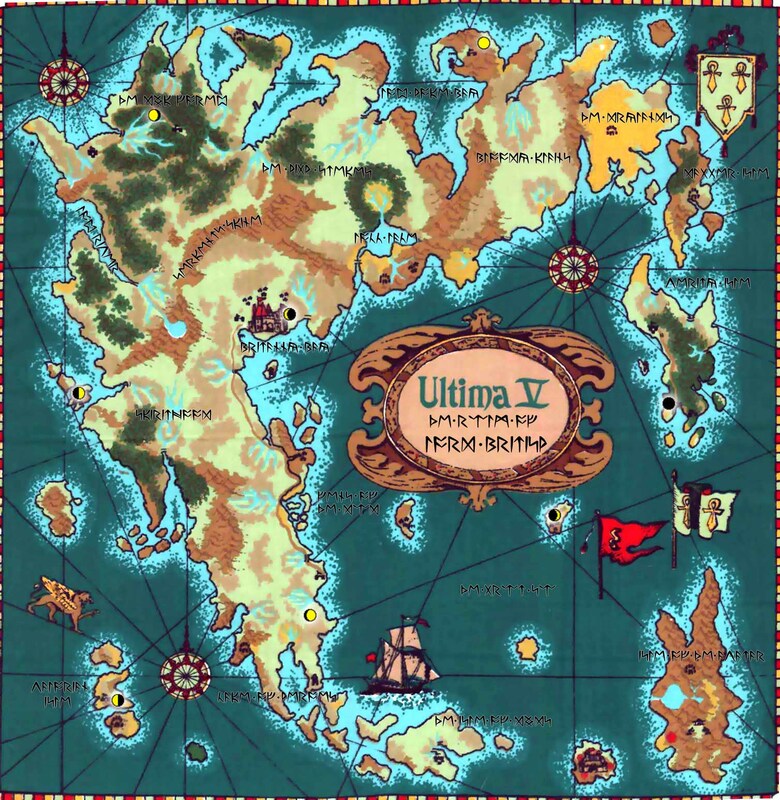 It was the first Ultima to implement a time-of-day system in which the sun rises and sets, and non-player characters follow daily routine schedules. 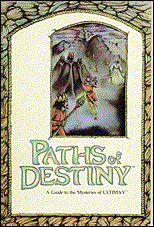 This game has been lauded as realistically portraying a culture living under a dictatorial regime; its tone is much darker than that of Ultima IV: Quest of the Avatar. As in Ultima IV, the player can interact with non-player characters (NPCs) by typing a word or phrase that signifies the topic to discuss. The NPCs will say what they care to share about a subject when it is mentioned, and the player can repeat key words used in the NPC's response to ask for further details. Sometimes, an NPC will ask a question of the player, and the player must give an appropriate response to keep the conversation active. As in Ultima IV only the first four letters of player spoken text are read by the game i.e. for 'shrine' the player need only type 'shri'. The Shadowlords constrict the player in a cage from which he cannot escape if the party gets too close (in spite of Shamino having escaped from a conflict in the opening sequence) and they cannot be destroyed by combat. There are three Shadowlords: Faulinei, the Shadowlord of Falsehood; Astaroth, the Shadowlord of Hatred; and Nosfentor, the Shadowlord of Cowardice. Each of the lords represents the antithesis of one of the three principles of Truth, Love, and Courage. Each Shadowlord's name must be learned by the player in order to defeat them. Their names also summon them if spoken by the player. The Shadowlords are defeated by locating a corresponding shard for each one in the underworld. These must then be destroyed in the matching flame; i.e. the shard of falsehood must be destroyed in the flame of truth. The Shadowlords appear at various times in different towns, and affect the towns people greatly. If the shadowlord of cowardice is about, the people will run away from you, afraid. If under the effect of the shadowlord of falsehood, they will try to steal from you. If the shadowlord of hatred is affecting them, they will try to attack you. In addition to traveling by foot, the player's party can ride horses, sail ships, and row skiffs. A much less conventional form of travel, moongates are magical portals that appear at night in eight key locations across Britannia; stepping through one transports the player to another moongate, determined by the phases of the two moons. Ultima V added a notable new method of transport: the Magic Carpet. Found early in the game, the Magic Carpet is a handy way of traversing the game world, as it can float over almost any terrain, be it swamp, rivers and coastal waters, or even lava. 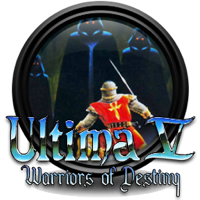 ▪ This is the first Ultima game with NPC schedules and day-night cycles. ▪ First traditional "hint-giving" appearance of Smith the Horse.